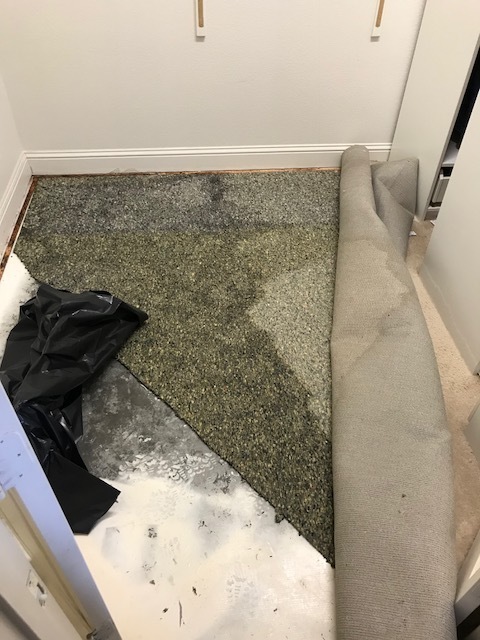 Beginning emergency service water damage restoration in Flower Mound, Texas after a broken supply line flooded a home. 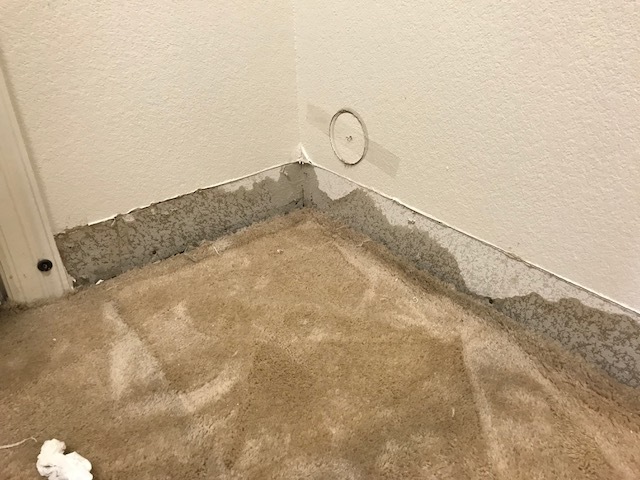 Inspecting water damage at a home in Flower Mound, Texas caused by a broken supply line. 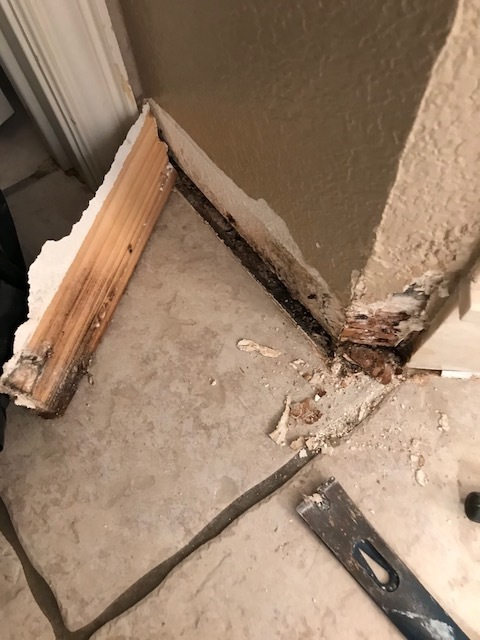 Starting water damage restoration after a shower leak at a home in Flower Mound, Texas.